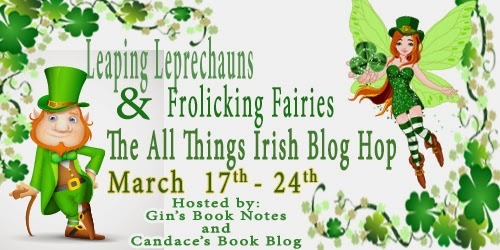 Welcome to my stop on the Leaping Leprechauns & Frolicking Fairies - The All Things Irish Blog Hop, hosted by Gin's Book Notes & Candace's Book Blog. I'm rather partial to fairies myself, so I'm giving away a fairy ribbon bookmark, along with a $5.00 Amazon Gift Card and an ecopy of my new release Shadow Fire. After you enter my giveaway, please hop over to the other blogs for more fabulous prizes! The Giveaway is listed as US only due to the shipping for the bookmark. In the even of an INT winner, they will receive the $5.00 Gift Card and the ebook, but not the bookmark. Thanks for participating in the hop! Happy St. Patty's Day! Waving at you from the hop list, Kimber! Belated Happy St. Patrick's Day. Thanks for joining the hop and for the great giveaway. The bookmark is gorgeous!